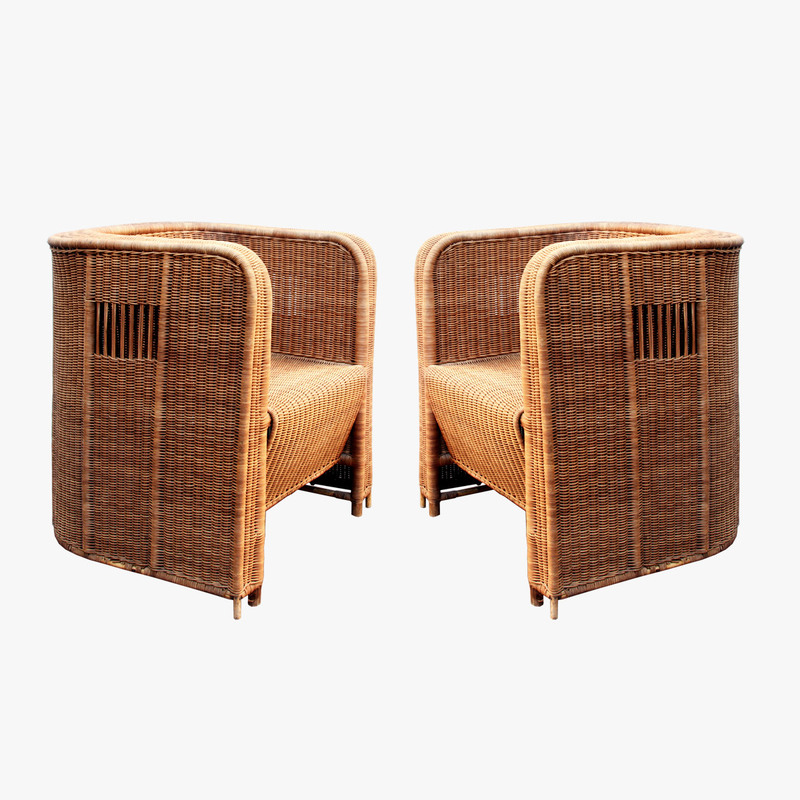 Pair of Secessionist wicker armchairs, attributed to Prag Rudniker, Austria, c.1910, 70 x 65 x 77cm tall (ref. 462-F). Sold. 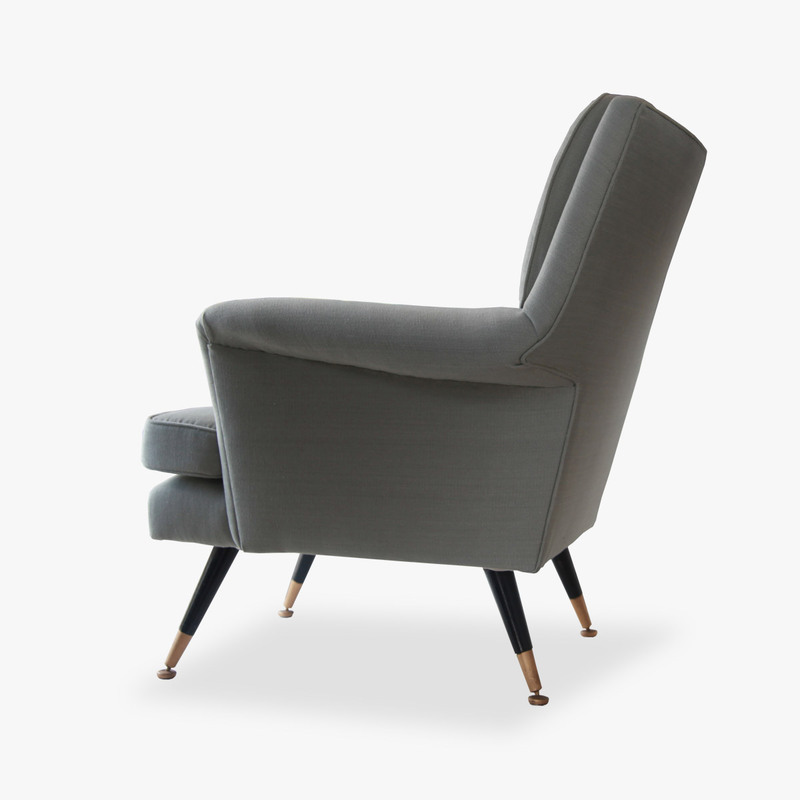 Custom Milo armchair, 75 x 75 x 73cm high (ref. 410-F). Made to order; other upholstery option available. 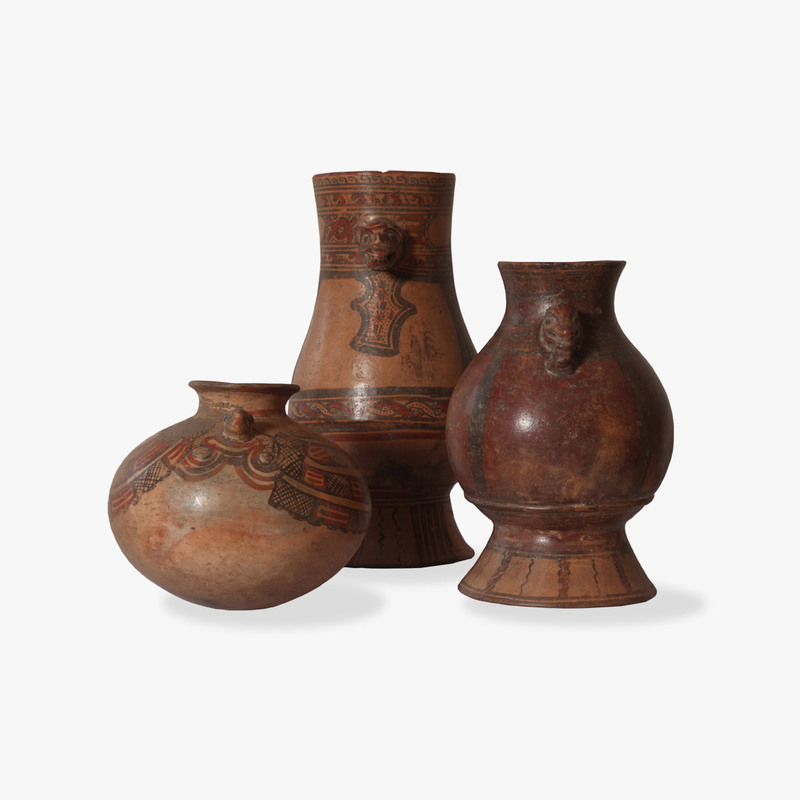 Group of early polychrome period terracotta jars in pear and globular shapes, Guanacaste-Nicoya, Costa Rica, 500-1200AD (ref. 447-O). Available now, as group or individually. 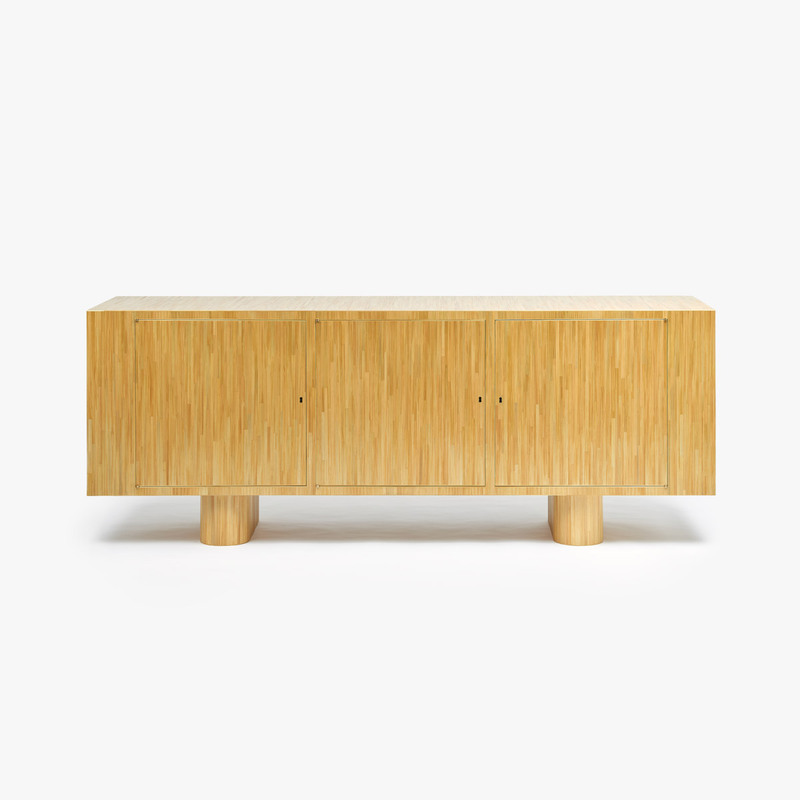 Custom sideboard in straw marquetry and American oak (ref. 495-F). Made to order; other colours available. 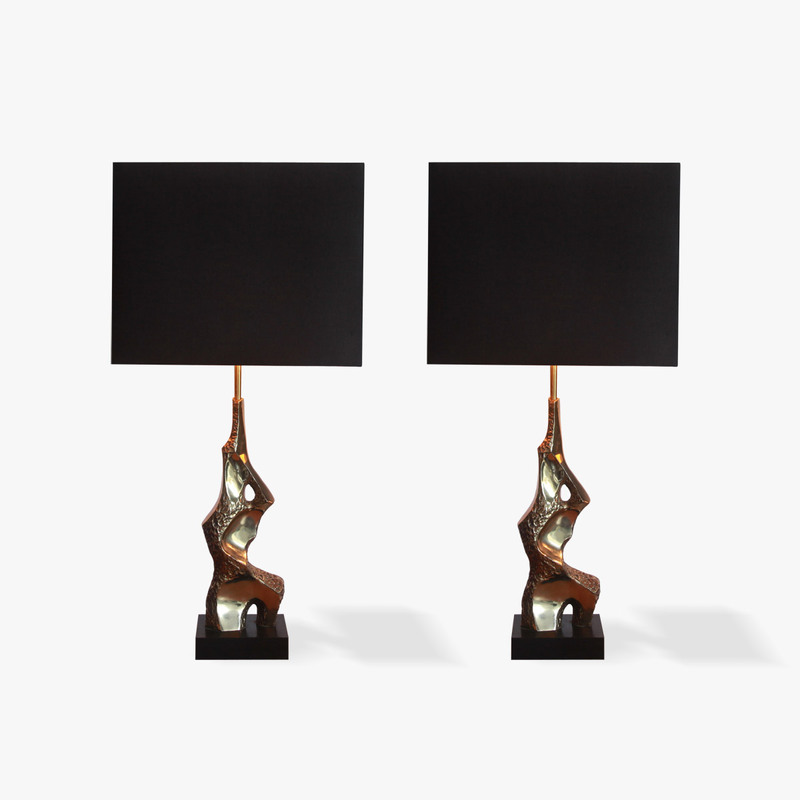 Pair of table lamps in cast brass and rosewood by Maurizio Tempestini, USA, c.1970, with contemporary glazed linen shades, 104cm tall (ref. 491-L). Sold. 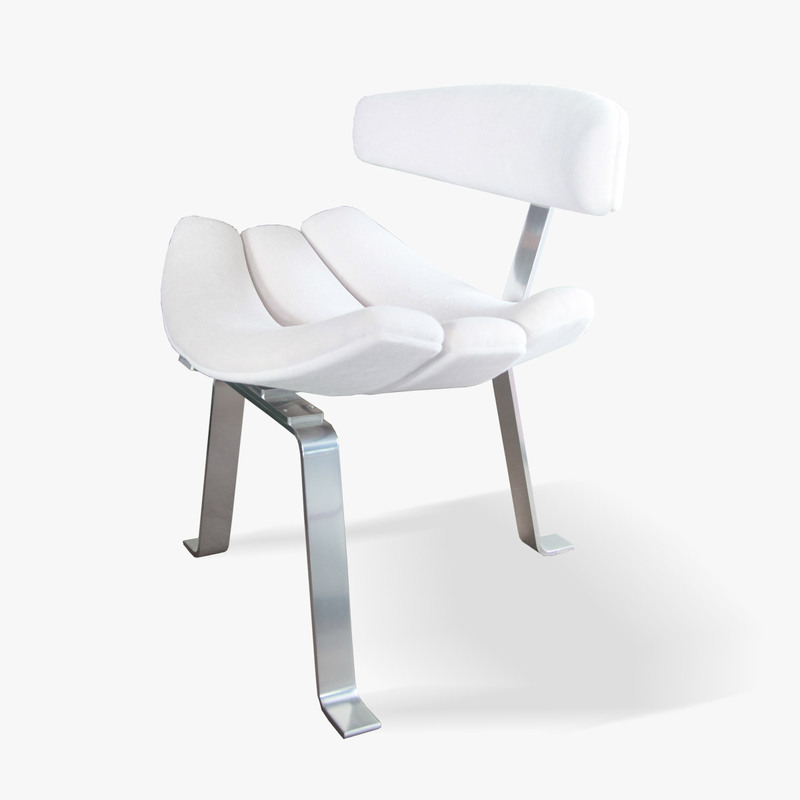 Pair of lounge chairs, Italy, c.1950, new Rogers & Goffigon linen/cotton upholstery (ref. 481-F). Sold. 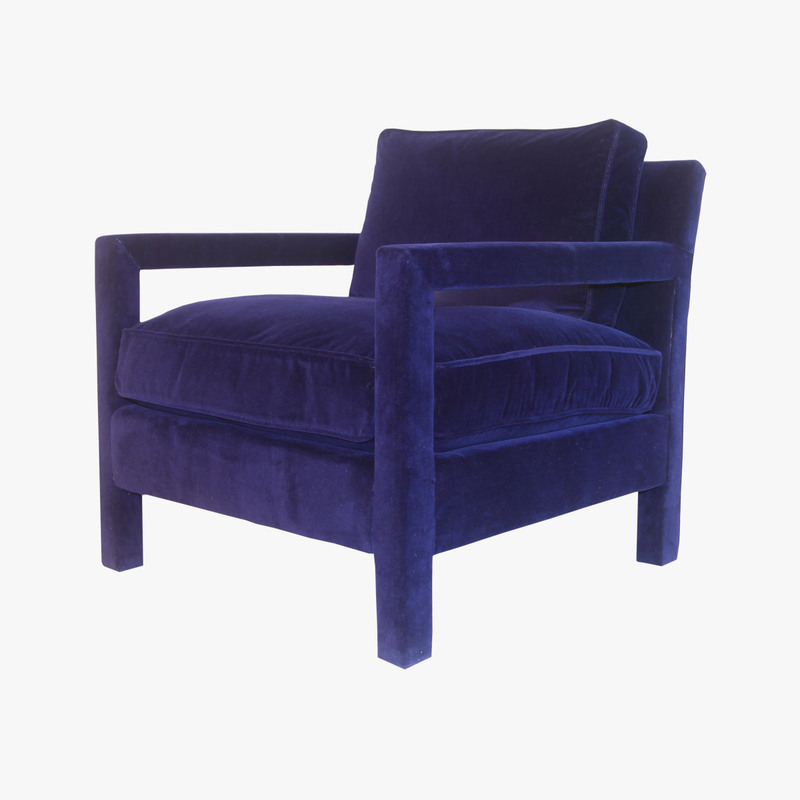 ‘Epsom’ chair by William Plunkett, polished aluminium and new alpaca velvet upholstery, England, 1960′s, 67 x 57 x 73.5cm (ref. 447-F). Available now.